We will then discus the ‘ongoing’ conflicts and the failure of the White House to score a decisive victory, as factors which has led Washington to intensify its efforts to make JA an ‘example’ to other journalists – demanding that they should ‘shape up’ or pay the consequences including imprisonment. By the end of a decade of war, opposition to the US involvement in Iraq and Afghanistan had spread to sectors of the military and civilian establishment. Documents were leaked and critics were encouraged to hand over reports revealing war crimes and the toll in human lives. WL, under Assange’s leadership, were the recipients of hundreds of thousands of documents which poured in from military analysts, contractors and civilian office holders disgusted by official and mass media lies which perpetrated and covered up war crimes. As the wars dragged on, and new ones were launched in Libya and Syria and liberal Congress-members were impotent and unwilling to expose the Obama/Clinton regimes’ lies and the falsifications accompanying the murder of President Gaddafi, WikiLeaks and JA publicized documents which revealed how the US planned , implemented and fabricated Humanitarian Wars to ‘save people’ …by bombing them! The major networks and prestigious press, following the official line, but WL documents discredited them.. The Pentagon, the CIA, the Presidency and their Congressional supporters panicked – as their covert activities came to light. They resorted to several desperate moves all directed to silence free speech. They accused the investigative journalists of ‘espionage’ – working for Russia or Islamic terrorists or simply being ‘traitors for cash’. As WL message gained legitimacy, Washington turned to the judiciary in search of rulings to muzzle their critics. Free speech was criminalized .But WL continued .New and more critical whistleblowers came on the scene; Chelsea Manning, Edward Snowden, William Binney and others provided new devastating evidence of Washington’s gross distortions and fabrications regarding civilian deaths. In the Pentagon’s eyes, Julian Assange was The Enemy because he refused to be bought or intimidated. WL successfully aroused distrust of the mass media and distrust of the official war news’ spread among the public. The Pentagon, the White House and the intelligence apparatus sought the ‘internal’ spies feeding documents to WL. Julian Assange was targeted for arrest in the belief that ‘beheading’ the leader would intimidate other investigative journalists. JA fled for his life, and sought and received asylum in the Ecuadorian Embassy in the UK. After seven years of pressure the US succeeded in having the Ecuadorean President Lenin Moreno violate his own country’s constitution and allow the British police to seize JS, jail and prepare him for extradition to Washington where the regime will find the appropriate judicial setting to condemn him to life imprisonment or… worse. The war crimes committed by Washington are of such dimension that they have eroded the passive and submissive ethos of their public servants; having lost the trust, the government relies on threats, expulsions and criminal trials. Investigative journalists are under pressure from the chorus of press prostitutes and face criminal trials. Today Free speech means ‘free’ to follow the State. 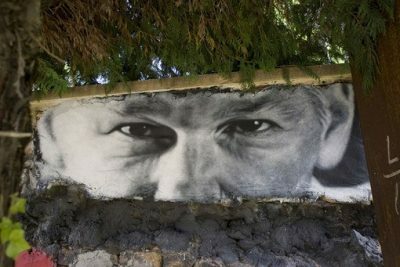 Julian Assange’s upcoming trial is about more than free speech. It is about Washington’s ability to pursue global wars, to apply illegal sanctions against independent countries and to recruit vassal states without opposition. Washington, without public awareness, will be able to launch trade wars, and slander competitors with impunity. Once whistleblowers are silenced and/or jailed anything goes. In the present period many journalists have lost their ability to speak truth to power, and young writers who seek outlets and role models, face the threat of censorship enforced by egregious punishment. The White House seeks to convert the country into an echo chamber of lies for ‘humanitarian’ wars and ‘democratic’ coups. Today the US government pursues a war against Venezuela. Treasury seizes its resources and wealth and State appoints its president in the name of ‘democratic values’. The Trump regime is starving the Venezuelan people into submission in the name of a humanitarian mission, a ploy which is only contested by few journalists in the alternative media. Washington is jailing JA to ensure that the crimes against Venezuela will continue with impunity.